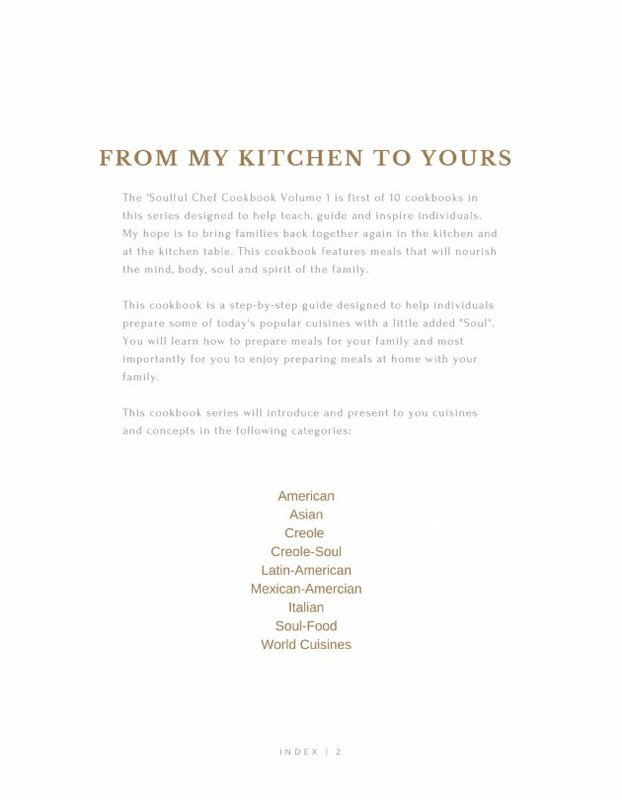 The 'Soulful Chef Cookbook Volume One is 1 of 10 cookbooks designed to help teach, guide, and inspire individuals. 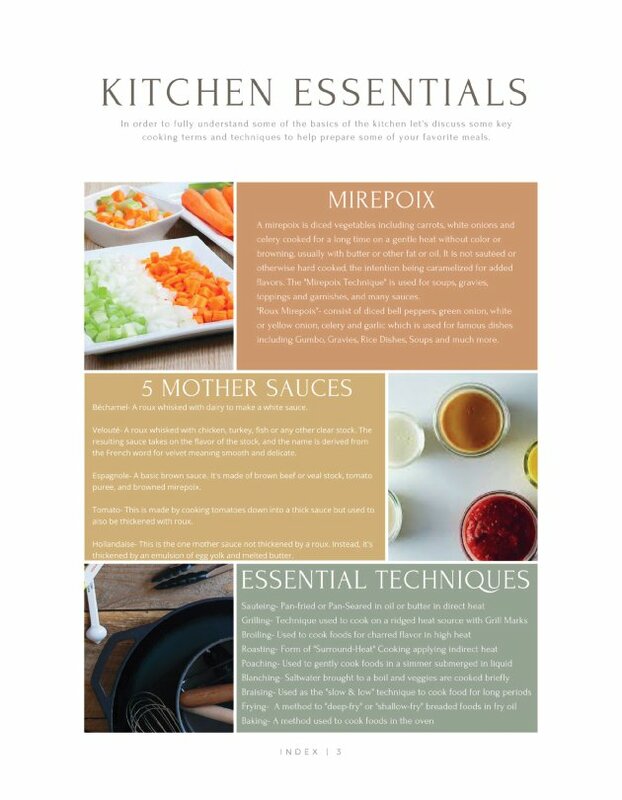 My hope is to bring families back together again in the kitchen and at the kitchen table. 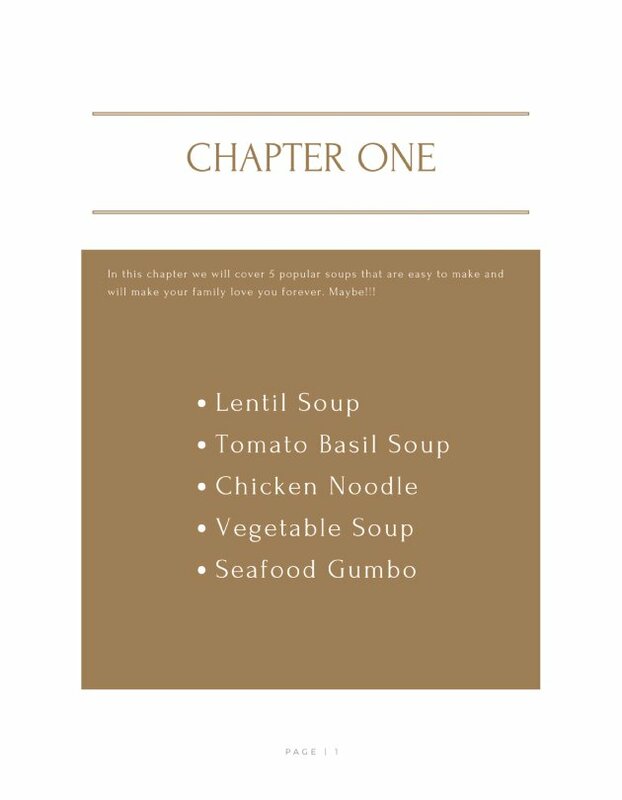 This cookbook features meals that will nourish the mind, body, soul and spirit of the family. 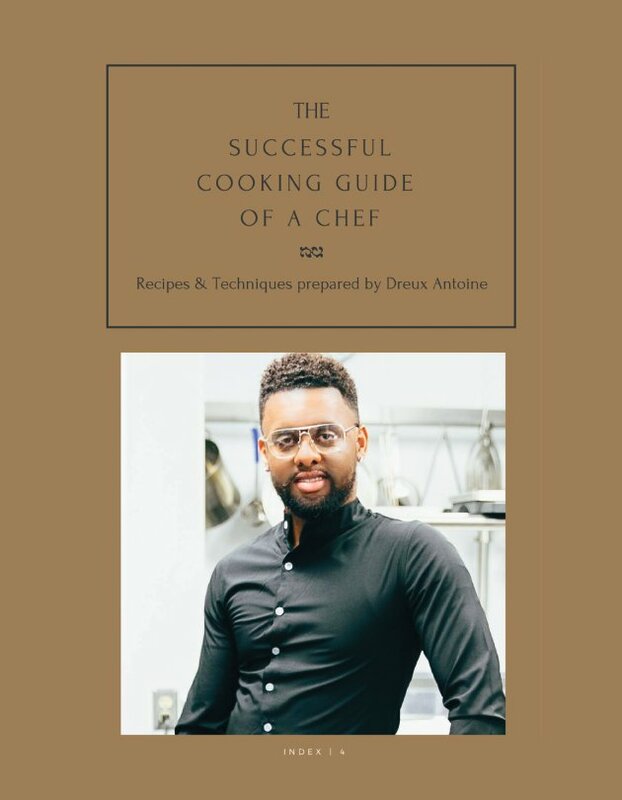 This cookbook is a step-by-step guide to help prepare some of today' popular cuisines with a little added "Soul" for your family and most importantly for you to enjoy preparing at home with your family. 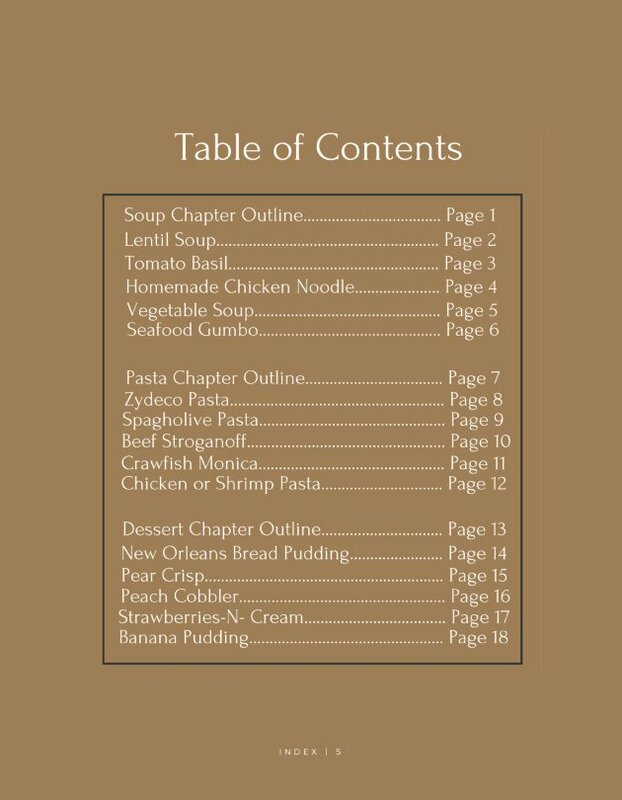 This cookbook series will introduce and present to you cuisines and concepts in the following categories: American Asian Creole Creole-Soul Latin-American Mexican-Amercian Italian Soul-Food World Cuisines.